First of all : Happy Easter to all. I have enjoyed the extended weekend (Friday and Monday are holidays here) and did some quilting for Mary. She has pieced the Swoon stars and I quilted them for here one by one. 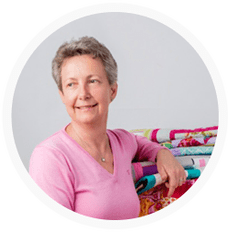 The blocks are free-motion quilted with meanders using Gutermann Sulky cotton thread. Another QAYG project. 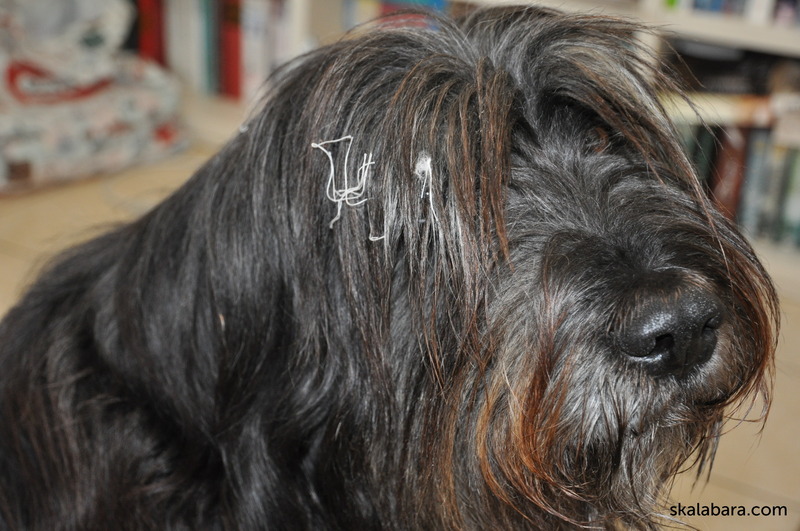 This time I had a helping hand from Strubbel – he collected thread pieces that landed on the floor. Attaching the binding. I use the ironing board as an extra table on the left side. 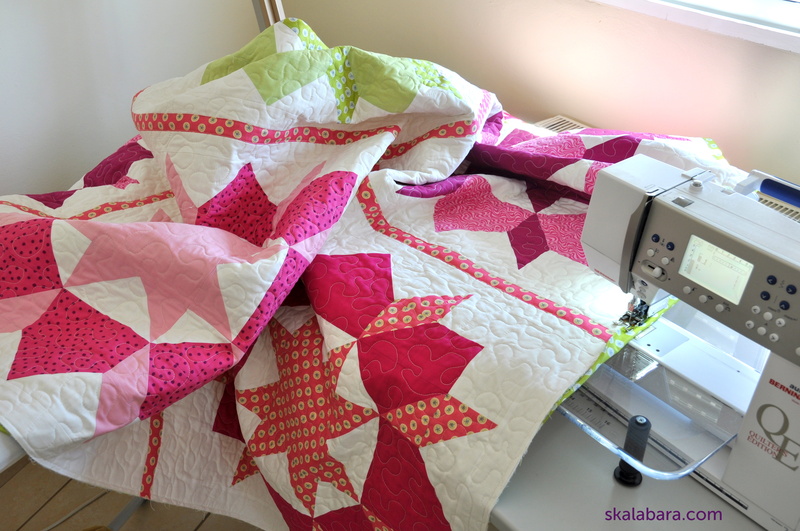 This quilt is 84″ x 84″ – so there is some material to move! 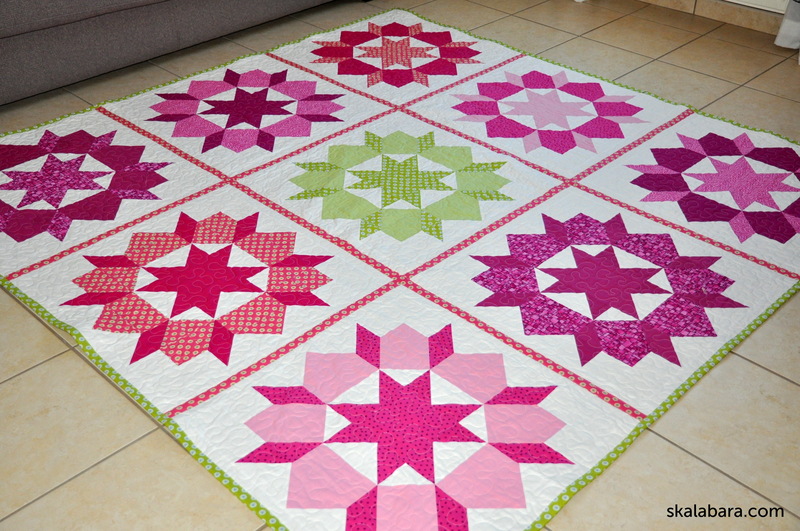 Hurray – I have finished the quilt. 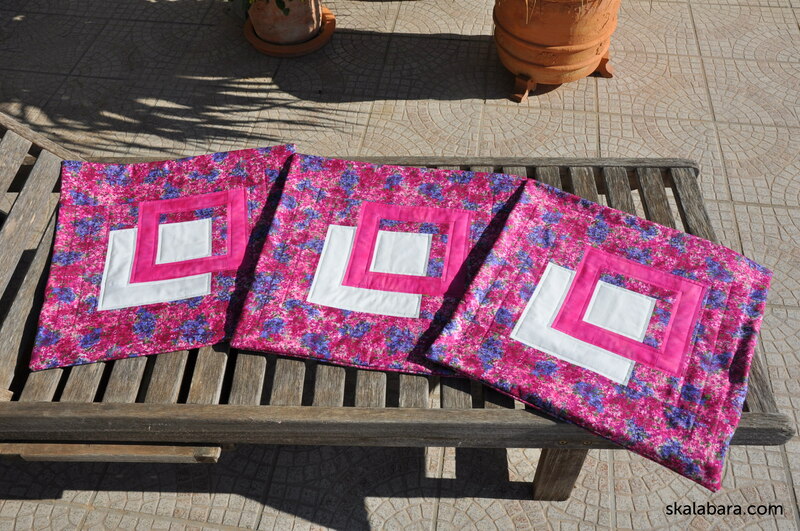 Unfortunately it is too windy today to take a picture of the quilt outside in the garden. Mary also pieced some pillow covers that match here quilt she got for Christmas. I quilted them with straight lines using the walking foot. Next week I shall have time to carry on with my quilting project. This entry was posted in blocks, free-motion quilting, my quilts, patchwork, quilts and tagged block, finished quilt, machine quilting, pillow case, thread. That is a pretty quilt and thank you for following me.